Here at GymMaster, we’re committed to providing a state of the art, multi-faceted gym software solution that adapts to your business needs, whatever the size, both now and into the future. Intuitive and easy to use, GymMaster’s comprehensive system includes full hardware integration and partnerships with leading billing providers. This cloud-based software is designed to maximize business productivity in clubs of all sizes, from any device. 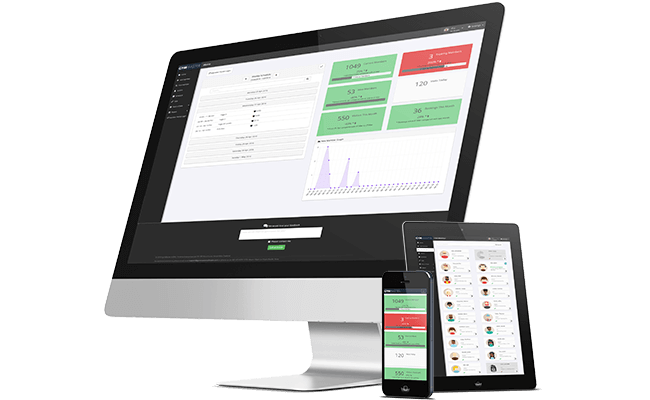 With 24/7 access control, prospect management, a member portal, point of sale, bookings, and much more, GymMaster offers a complete membership software solution. Whether your membership base is a few hundred, or thousands over multiple sites, GymMaster focuses on both increasing the efficiency of your daily member management operations, as well as providing the tools to promote business success and growth in the long term. We are constantly reinvesting in GymMaster, working with gym owners like you to ensure our gym software is providing you with the highest quality, practical solutions which improve the manageability of your business. Originally developed as a custom membership management system for the YMCA organization, GymMaster’s success and continued interest from the fitness industry reflected the need for high performing gym software. It can now be found managing gym memberships in over 38 countries worldwide. Treshna Enterprises is the company behind GymMaster. We’ve been creating high-end business solutions since the late ‘90’s, born from a passion for open-source software and cultivating opportunities for talented people to build great things together. Our team is our most valuable asset, with a range of technical and business backgrounds. Our technical and support teams are strong, embracing fresh ideas from newer developers with extensive expertise from our senior developers with 20+ years experience.